Is there anything that we don’t want to make beautifully, especially when the thing is your life long property such as a living house, commercial building? Everybody wants to create any structure to be more beautiful than the others. Right? But, it is a little bit difficult without the help of an architectural firm. That is why we suggest taking help from the best architectural firm in Bangladesh. DUSRA Soft can help you by providing the best services that are related to Bangladeshi building design, house interior design, corporate office design, the idea to build a small house in a village, and so on. In a word, you can get all the services that are related to the architecture of any structure. 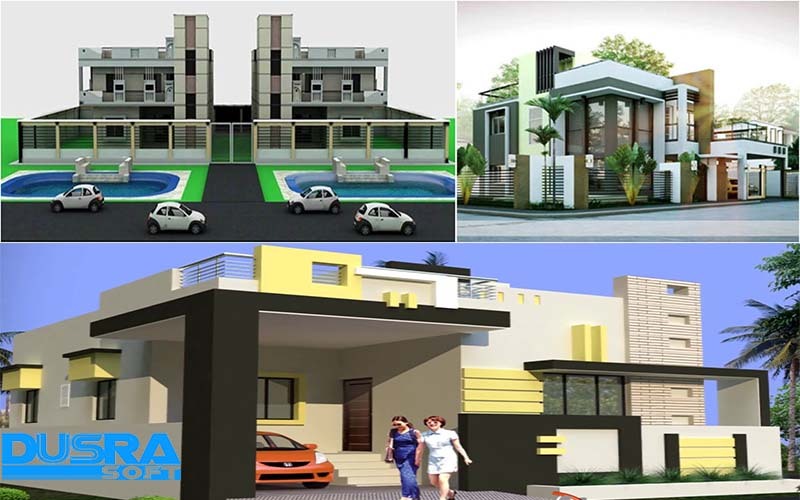 You may intend to build a duplex building, but you should have enough ideas about duplex house design. Some others may build a small house in a small area. But is it also difficult to make a plan in a small place? On the other hand, you may need to consult to make a wonderful home decoration map. Architectural design is a very important part of your structure. The outlook of your building primarily depends on how beautifully you can create the design. It is also possible to give a wonderful view of an ordinary structure. Can you imagine the necessity of the touch of an architect? DUSRA Soft offers you to get some surprising Bangladeshi building designs from the best architectural firm in Bangladesh. Now the time is very up to date. Once upon a time people just made a house in the village for the living. But now, they are also concern about the outlook, durability, and home decoration planning of their house. We welcome you to solve these problems. Some of the people want to make a small house, but they don’t find any architectural firm from where they can get help because of the small project. But we welcome all the people whether you are going for a large project or a small house. Come to us for getting small house design in Bangladesh. Are you searching a good quality interior firm in Dhaka? You are on the right path. The ongoing info will tell you whether we can help you or not! Just think, you have made a very wonderful building for living, office or any other purposes but you can’t set up the usable things, how it looks like? On the other hand, it can be possible to give a beautiful look of the interior with some simple tasks. We have some expert hands to draw fantastic decoration. It doesn’t matter how much big of your interior or how much small! It is a very important question we think. You may find some other architectural firms in Bangladesh, but for which reasons will you choose us. We can’t force you, and we never do this. But we always tell everyone to get any services from such a firm, company or agency which has the following criteria. DUSRA Soft always believed that the following characteristics are part and parcel of a good company, firm, or agency. And this is also applicable for the best architectural firm in Bangladesh. DUSRA Soft always maintains those criteria, and we have a strong relationship with all our members. The reputation, prestige, an acquaintance of an architectural firm always depend on the quality of services. If we provide good services, you will come to us again and again; we strongly believe this. That is why we are very about the matter. That is why we only accept those engineer who can deliver top-notch tasks. That is why you always will get the best services from us. Pricing is a great factor always. 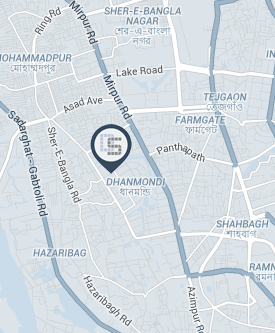 You may get standard services from a very renowned architectural firm in Bangladesh, but you can’t keep eyes with comfort on their price chart. We always think they are good who give you good services, but they are the best who give you good services at an affordable price. Agree? Many other architectural firms charge such an amount for Bangladeshi building design that is higher in price. But we always offer a low-cost house design in Bangladesh. We work for you until the time we tell ok. After completing our job, we invite you to look at that. If you need any modification or any changes, we always appreciate that. We always work for your satisfaction as we are committed giving you the best services. We always advise getting architectural services from the best architectural firm in Bangladesh. But the question is how you recognize as it is best? Judge the architectural firm according to the above points hopefully you can take a good decision. DUSRA Soft always maintains a good relationship with their member, not their client. Don’t understand? DUSRA Soft thinks you as a member of DUSRA Soft family just after working together. You are not their client rather a family member.